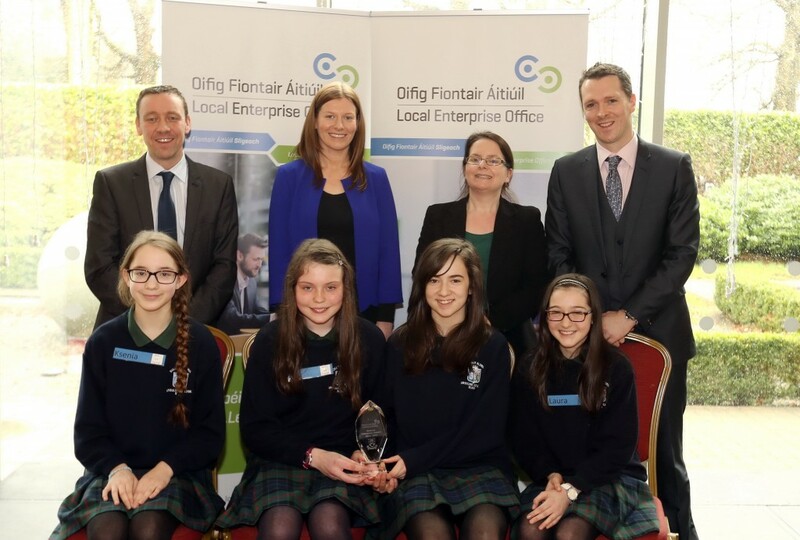 Twenty-nine teams of young young Sligo entrepeneurs descended on the Sligo Park Hotel earlier this month to participate in Local Enterprise Office Sligo’s Student Enterprise Awards, part of the National Student Enterprise Awards Programme. level schools competing in the event. mile in generating innovative business ideas for their mini-companies. to County and National Level. undertaken by the participating students, who rise to the challenge of setting up and running a business within the timeframe of the competition, and often, they continue to run the business beyond it. Teacher Ruth Tighe is in her first year competing in the Student Enterprise Awards Programme, with a group of first year students from Ursuline College, Sligo. She assists her students as they learn skills such as teamwork, decision making and financial management through the competition. “A major plus of this Awards Programme is the practical skills the students acquire through participating.” says Ms. Tighe who goes on to explain the “level of work and commitment required by the students in order to compete at a high level. Judges were Liam Kiely of Local Enterprise Office Sligo and Nicola McManus of Local Enterprise Office Leitrim. Overall Winner (Junior Level) – ‘Let’s get Signing’, Ursuline College. ONLY THREE PICS. WERE CIRCULATED TO US. 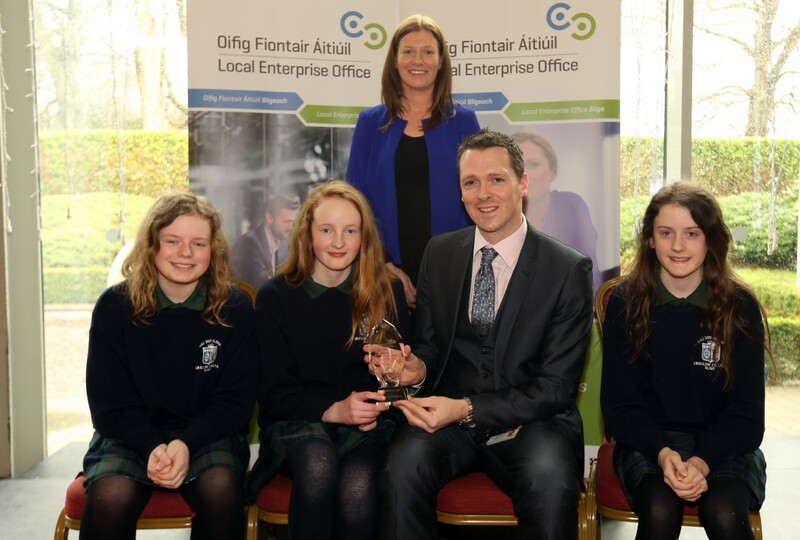 Coola Post Primary School, Overall Senior Category Winner. Ursuline College, Sligo. Overall Junior Category Winner. Front (L-R) Ksenia Grigorjeva, Ellen Given, Hannah Fox and Laura Keane. 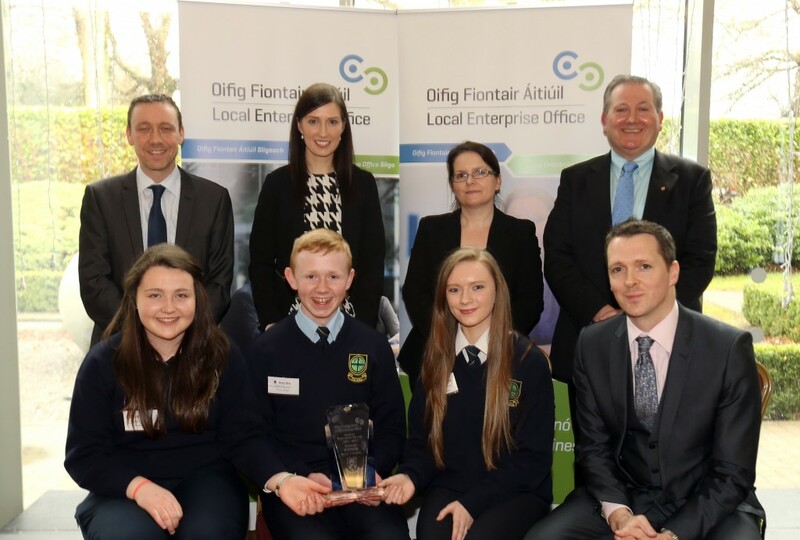 Back: Liam Kiely (Judge), Ruth Tighe (Teacher), Nicola McManus (Judge) and Stephen Walshe, Business Adviser, Local Enterprise Office, Sligo. Ursuline College, Sligo. Runner up, Junior Category.